This New York Times bestseller is a hilarious and inspiring tribute to the iconic comedian Joan Rivers by the person who knew her best—her daughter, Melissa. Joan and Melissa Rivers had one of the most celebrated mother-daughter relationships of all time. If you think Joan said some outrageous things to her audiences as a comedian, you won't believe what she said and did in private. Her love for her daughter knew no bounds—or boundaries, apparently. ("Melissa, I acknowledge that you have boundaries. I just choose to not respect them.") 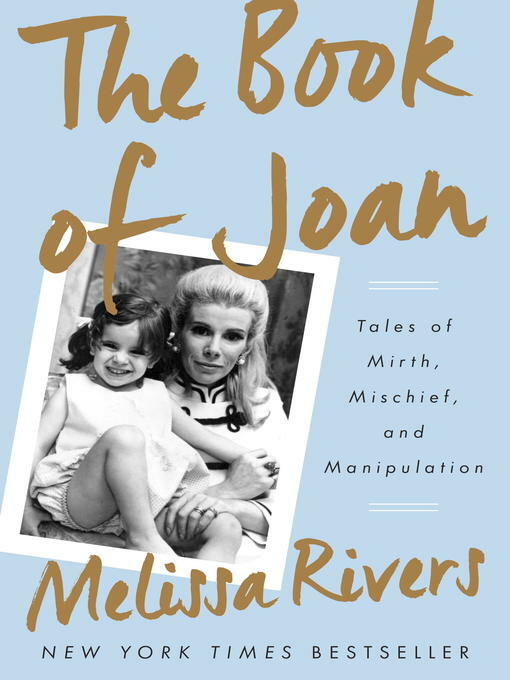 In The Book of Joan: Tales of Mirth, Mischief and Manipulation, Melissa shares stories (like when she was nine months old and her parents delivered her to Johnny Carson as a birthday gift), bon mots ("Missy, is there anything better than seeing a really good looking couple pushing a baby that looks like a Sasquatch who got caught in a house fire? "), and life lessons from growing up in the Rosenberg-Rivers household ("I can do tips and discounts and figure out the number of gay men in an audience to make it a good show. That's all the math you'll ever need."). These were just the tip of the iceberg when it came to life in the family that Melissa describes as more Addams than Cleaver. And at the center of it all was a tiny blond force of nature.